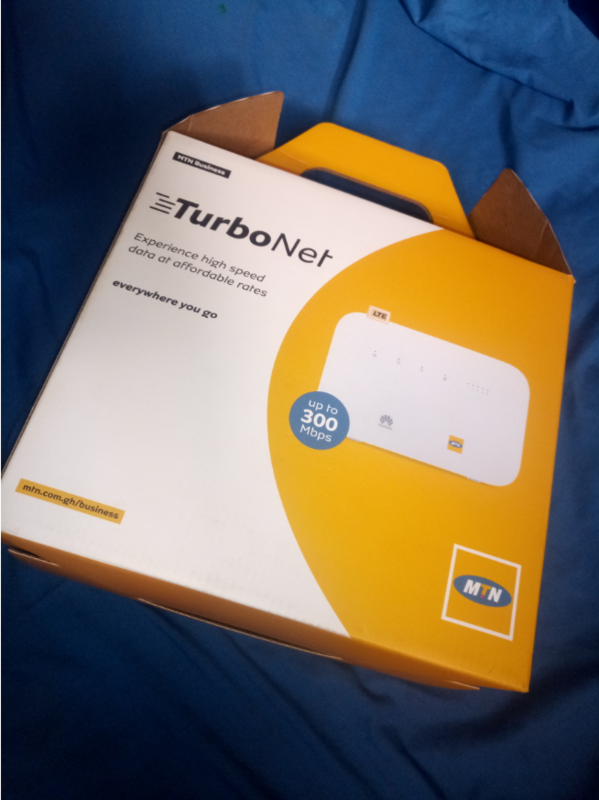 The MTN TurboNet Router is a modern advanced internet router that gives you up to 300MBPS of internet speed hence making it the fastest internet connection in Ghana. Here, I have the ‘Hands-on’ review of the router for my readers who want to get the device to gain more insights before going for the device. I walked into an MTN service center with a valid ID card, a sum of Ghc 300, an email address and an MTN phone number. I paid to the cashier and was given the TurboNet device in a sealed box with a form to fill. Some of the things on the form include My full name, ID number, the TurboNet number which was boldly printed on the box, my alternate MTN number, email address and my signature. I submitted the form to the front desk assist who assured me that everything has been registered and explained to me how the device works. In less than 20 minutes, I was done with the entire process. The size of the box is 11 x 10 x 6.5 inches. Inside this bigger box are smaller boxes. 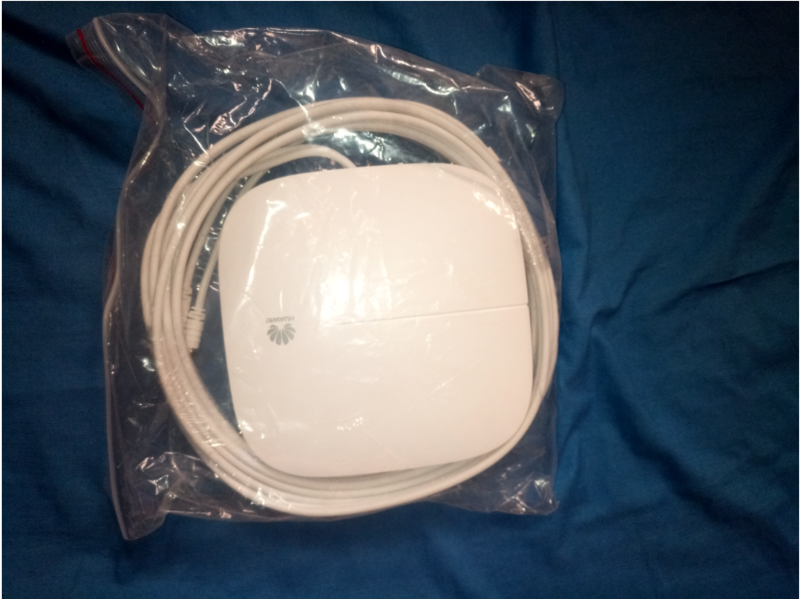 First, a white 9 x 9 x 2.5 Inches box that has it boldly written on ‘HUAWEI Omni Antenna AF78. There is also a second yellow box which has the MTN TurboNet Router and the MTN logo on it. The box is 10 x 9 x 4 inches. Opening the antenna box, there is a neatly packaged Omni Antenna with a manual inside. The antenna is white with two long cables stretching from the inside of the antenna itself. It also has plastic wall mount which can be adjusted to make it sit on any smooth surface comfortably. On the end of each antenna cable is a small connector which is meant to help connect the antenna to the router. 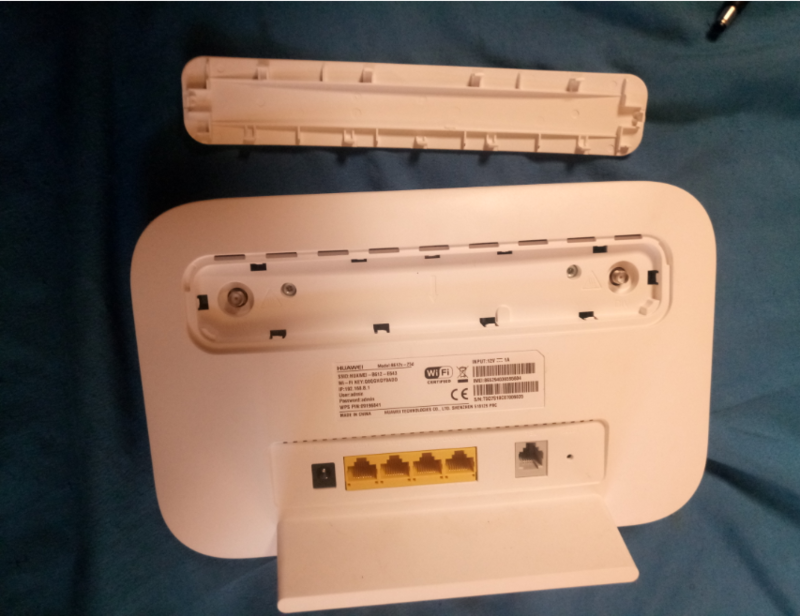 Inside the TurboNet Router box, we have the Turbonet device itself, SIM Card, computer LAN/WAN cable, landline telephone cable, a charger and a manual. Taking the router itself, the router is more rectangular with curved edges. It also has a plastic stretch to make it sit on a flat surface comfortably. On top of the device are two buttons. One is the Switch which is used to turn the device On and Off. The other is the WPS button which when pressed helps you connect to the device without having to enter a password. Looking at the device from the front, we have five indicator lights, an MTN logo and HUAWEI logo as well. Power indicator: When on, always white means the device is connected to a power source and turned On. Network Status indicator: Cyan/Yellow/Blue Turns red immediately the device is turned on and turns Cyan when the device is connected to a Mobile Network with strong signal. WPS/ WiFi Indicator: When steady and white it means WiFi is on and can be connected to. When blinking it means the device is in WPS mode and can be connected to without password. LAN/ WAN indicator: Lights up when a LAN/WAN cable is connected to the back of the device. Signal strength indicator: Five white lights each representing one bar of the network signal. 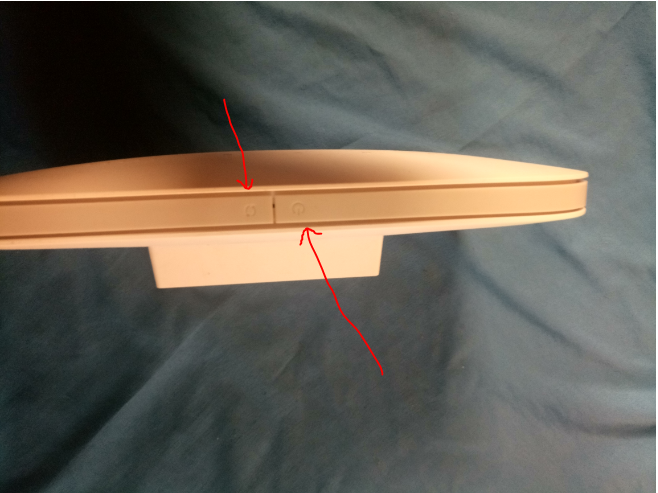 Looking at the back of the device, we have the antenna sockets where there is a cover that you have to remove before seeing the sockets where you will plug the antenna cables. Below the antenna sockets, we have the device information sticker where you will see the default WiFi password, the IP address to access the dashboard, the username and password including all the other information you need for your first time access to the device. Power Input: Where you will plug the power supply. 4 LAN/WAN Ports: For connecting to any machine using the LAN/WAN cable. Landline Telephone port: Which helps you connect a Telephone to the device for making calls. Reset button: A small hole where you can insert any pin to press a button to reset the device to factory default. Under the device we have only the SIM slot where you insert a Micro SIM. We have three types of SIM cards being Mini-SIM which is the most common SIM card size for most phones in Ghana, then Micro-SIM which is the small SIM size and Nano SIM which is the smallest size of SIM card. The device uses the Micro-SIM card size so be careful the type of SIM you put in so you don’t damage the device. 198.168.8.1, you can also manage the device accounts with the Huawei HiLink Mobile App. You will have to be connected to the device in order to log into the dashboard using the IP or the Huawei HiLink app. The default password for both is ‘admin’, Except you have changed it in which case you will have to enter your own password. The MTN TurboNet Router is a light weight device that runs at the speed of light. There are so many things you can do with the device that I am yet still exploring and since you are also following this super fast internet connection device, I will be glad to let you know about my findings so keep looking out for more on this topic.